Once you have decided that this is for you, there are several things to consider long before the first animals arrive. Namely, rules and regulations, finance and practical help. 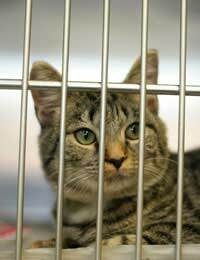 If a premises and land have not been used as an animal shelter before, find out from your local council about ‘change of use’ and necessary planning permissions. Is the proposed site in a residential area? Will the donations received be enough to register your shelter as a ‘non-profit charity’? Is there a local vet who will work with you? Are buildings-that are intended to house animals-suitable, hygienic and comfortable? Where will the different species exercise? How will you pay for food, bedding, veterinary fees etc if funds are insufficient? Who will help to feed, groom, exercise and care for the animals? How many cats/dogs/rabbits/chickens/ponies can you home at once? What animals are best suited to the facilities you are able to offer and how experienced are you in caring for them? There is a lot to consider! Volunteers are the mainstay of rescue centres, shelters and the majority of animal charities. In order to succeed (and so help more animals) you need to be a good organiser and get on well with the people who have been inspired to offer you their help! In the animals’ best interests this needs to be established in advance-the better the team, the more you can achieve together. Have a rota prepared, so your helpers know when they are expected to be there and what duties they are required to do. Animals need routine, so it is important to plan the basic timetable early on. Try to arrange emergency cover and make sure insurance is looked into-including public liability. Preparation is paramount to the smooth running of your new shelter. Equipment, like feeding bowls, bedding, dog leads and collars, cat litter and trays, wormers, flea treatments, shampoos and grooming kits, can be stock-piled in readiness. Some private rescue centres have ‘advertisement bins’ in local pet stores and supermarkets; where people leave donations of tinned food and other goods to help homeless animals. Local companies may donate money or sponsor an animal if asked. Approach local papers, radio stations and TV news channels-they might be interested in your story. Send out flyers, get people involved! Publicity helps to get you noticed and raise public awareness of your animal shelter. It would be a great shame to rescue animals only to have them get sick because of inadequate disinfection. Kennels, catteries, stables, hutches, all enclosures, bedding, bowls and equipment must be clean; all the time! Volunteers and visitors must be made aware of the importance of washing their hands and appropriate facilities provided. If there are turn out paddocks, fencing must be safe and secure and expert advice sought on poisonous plants, harrowing and whether the land is suitable for grazing. Fresh water should also be available and shelter against sun, wind and rain provided. Consider the need for rugs too, and, if housing large animals, where’s the muck heap going to be and how will it be disposed of? If poultry are among the shelter’s residents, they will need protection from foxes and other predators! Running a shelter generates a lot of paperwork: records for each animal, volunteers’ rota's, dates and programmes for open days and other events, copies of orders for food and other essentials, fund-raising and general book-keeping, to name but a few. There are some free computer packages on offer that may make this less of a headache-utilise the skills of people who have offered their help-designate! When the first cat, dog, rabbit, pony, or whatever else you have taken in, has settled and the healing process has begun, then you will know that it’s all been worth it. Some animals may stay for the rest of their lives, some a few days or weeks, but, for each animal that the shelter helps, you and your team are the ones who made it possible. Hello ro, In Wales kennels meet problems with dog waste. Inspectors seem to want septic tanks or dogg mess collected in skips. This means huge costs for boarding kennels. The rules appear not to apply to rescues. My own dogs weren't planned for rehoming, but serious illness may make it inevitable. The fact tons of cow and sheep waste are spread on fields seems unfair to dog owners. Hi, I’m from Ireland and have lived in the U.K. for 6 years. Myself and my partner of 4 years rescued a 6 year old GSD and we absolutely love animals. I’m an engineer and my partner has his own business. I have wanted for years to open my own animal shelter. Only recently a friend of mine opened a shelter in Bulgaria and the rules she had to get through are unbelievable. One massive wall that came up against her, was the government restriction on ‘animal waste’ from a shelter. I am a drainage engineer by trade and I have never heard of a separate law or restriction on foul waste from animals. If anybody knows anything about this, please let me know. I’ve tried to look it up online to no avail. I understand all other requirements in relation to land and planning, but I’m at a loose end on a potential need for specific animal foul disposal. Any help appreciated! I wanted to breed and rescue Labradors when we moved into a smallholding. For various reasons our relationship failed and she left me to pay off the mortgage and I struggle to make ends meet. There are 22 labs living inside with me as a group and, I've found the relationships between the dogs very rewarding. Unfortunately it seems like I have a serious illness and my worry now is how to do the best I can for the future of the pack. For people with families who are into dogs having a number of dogs may be fine, but I now wish I had given more thought for their future. Ive been wanting to open my own shelter but i dont know where to get started. I dont know where to go to get licenses that i may need or what paper work i need, this is has been my dream since i was little. But i really need help though. Hi I’m looking to buy a green belt plot and assist an existing horse samnctuary provide land for their rescued tethered horses and ponies. After purchasing the land where do I start? Sound advice will be extremely appreciated. I would love to one day run my own animal shelter and have my animals stay in the shelter as long as it takes until they are adopted and happy. @Smithy - good on you. It's about engaging with the animals too! Most animal shelters rely upon charitable donantions as it doesn't make money, so most people just do it for the love of doing it. Amy. I would like to create my own animal shelter with dogs, cats, rabbits, guineapigs, ferrets and horses. I'm only 17 but becoming a vet nurse after I am qualified I wanted to start my own help for animals as well as taking pets on when families need their pet looked after! Ive saved a few thousand for my future regarding animals, all I have ever wanted is rescuing all sorts of animals giving then nice homes and makeing sure if any are injured I can help them become healthy to go! I'm not too sure how much all this would be I don't wanna be like most Animal places where they hardly have anything to sleep in or play with I want them to be happy and comfy and all the love they can get even if they don't get a home they will always be welcome where I am! Will studying veterinary medicine help me when I open an animal shelter? I need help finding prices for animal shelter please someone send me the link to any site that can prove the prices and is very reliable, ty. We can't help you directly from our site as we do not have the information you require. However, hopefully one of our readers may be able to help. Hello I would like need price for animal shelter, food cost please give info guys. I will like if info given to me in form of site as I can assure the prices are correct and not made up by anyone please thank you everyone who help give me. It's lovely that so many of us want to rescue these poor animals from the terrible treatment they've incurred but what makes me sick is that for every 1 of us that care there are 10 that dont?? my story This has been my dream for years and one day I WILL make it happen, I want to set up a rescue for Romanian dogs so I can save them from the awful public shelters and streets of Romania and re home them in the UK. I'm currently working on building a property empire so one day I'll be financially free and in a position to buy a house with land, build a shelter, and be in a position to fund the running of the shelter.I do what I can now for the Romanian rescues, but my dream keeps me going and working hard to make my dreams a reality!